Culzean House is the perfect destination for family holidays or group gatherings in Scotland, giving you all the warmth and comfort of a luxury self-catering house - there is even a hot tub (and sauna) for ultimate relaxation! The house is just a 5 minute walk from the beach so perfect for a family holiday.The surrounding area offers picturesque scenery, fantastic forest walks, romantic beach walks and activities such as mountain biking, horse riding, river and sea fishing all on your doorstep. 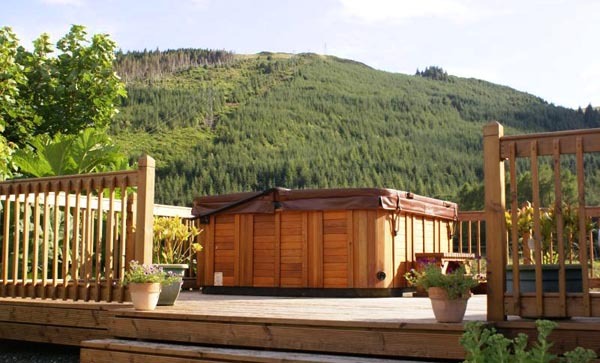 This luxurious holiday house is situated at the gateway to the Highlands in the Loch Lomond and Trossachs National Park. Local activities include quad biking, sailing, climbing, and the River Rocket high speed adventure boat rides on the Firth of Clyde. For those seeking days of rest and relaxation then visit the Benmore Botanical Gardens, board the last ever sea going paddle steamer 'The Waverley' or have a round of golf at one of the many local courses. 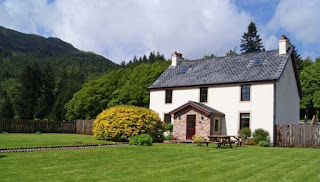 This is a really wonderful large holiday house, set in some of the most beautiful scenery in Scotland - an idyllic place to stay for a Scottish holiday.